A twin-stick shooter roguelike that isn't over when you die. 320 backers pledged $9,013 to help bring this project to life. HELLO! I'm so excited today... Thanks again for supporting A Wizard's Lizard (formerly Crypt Run). It means a lot to us and we're really grateful for your support. Hello there! Has it really been six months since last we talked? Goodness how time flies when you're playing video games. Hello! How was your summer? Our was busy! I'm really excited to announce a bunch of new content we've been working on over the last few weeks. Happy Independence Day! To celebrate, we added an explosive new fireworks-inspired weapon to A Wizard's Lizard. It's available in version 2.0.13, on Steam now and any minute on Humble. Good news for indoor enthusiasts! Big news! Crypt Run is now called A Wizard’s Lizard. Why the name change? Crypt Run preview trailer and podcasts! Greetings! I'm currently in the process of moving and launching a game. Stressful but fun! How's your summer been? Crypt Run sewer dungeon coming right along! Now ALL rewards $15 and higher get free Lava Blade! NOW ENTERING THE END GAME! Crypt Run is coming to Linux! WOO-HOO! We made our first stretch goal! Thank you very much for your pledges, because of your help we'll now be able to support Linux. Join us for the LIVE countdown! Nintendo approves Lost Decade as official developer, announcing new Wii U stretch goal! Yes you read that right! I'm so excited I'm about to BLOW UP!! YOU DID IT!! 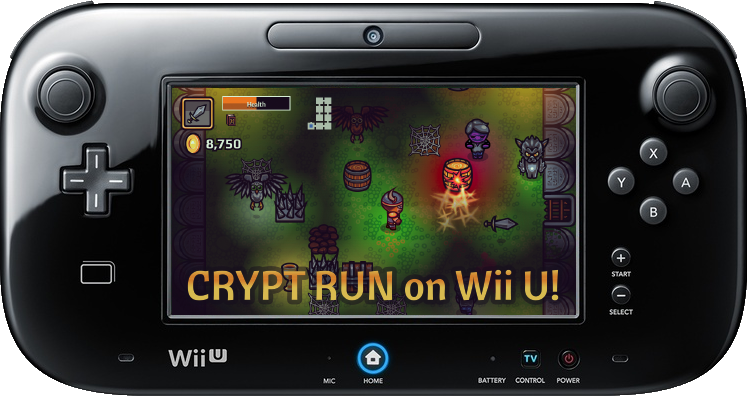 Crypt Run is successfully funded and will launch later this year on Windows and Mac. 1. Visit cryptrun.lostdecadegames.com in a modern browser. 2. Play through the "Cemetery" dungeon. You can now use ANY payment method to help Crypt Run! Many of you fine human beings have asked about alternative payment methods, and we're now happy to provide one via these Humble Store widgets. Photos, another live demo, Reddit promo, and more! Hello! Hope you had a wonderful weekend. We've been busy making the best game we can for you, and trying our hardest to ensure this campaign is a success. WHOA! That was a fantastic launch weekend, THANK YOU! We really appreciate everyone supporting us early on and helping this campaign get a terrific start.